Almoradi Car Hire | Get Low Cost Car Rental in Almoradi - Book Now! Almoradi is a town which is located somewhat inland on Southern Coast Blanca of Spain. Almoradi car rental experience can be memorable and exciting with us. Our company offers you with some of the best rental deals which comprises of a wide collection of cars and various benefits. Our company offer car rental Almoradi service with various pick up and drop off locations. We offer the flexibility of modifying your booking details online without any extra charges. We ensure top-notch Almoradi car rental deals whether you are traveling alone or with your family members. The town of Almoraid is located around 44 km towards the south of Alicante. The town is known for its furniture production, agricultural products, and its trades. Currently, the population of the town is over 20,000. Almoradi is a town which has various shops, banks, nice restaurants and bars. The town also offers all the basic amenities within the borders. You will find various squares where the locals and the visitors assemble. You will find numerous restaurants and tapas bars where you get to enjoy both local and international cuisines. The main economic activity of the town is mainly concentrated on agriculture. 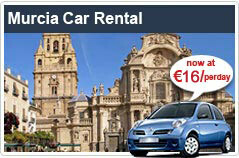 You also have the convenience of exploring the town’s various attractions and the nearby towns with Almoradi car hire. Nearby towns of Almoraid include – Benejuzar, Rojales, Algorfa, Formentera del Segura, Daya Nueva, and Dolores. For having a great shopping experience, you can visit Torrevieja where you can visit Habeneras Shopping Centre. Make sure that when you are in the town, you have visited Cortes Theatre and San Andes Church. The town holds a special market on Saturdays and you can be a part of various fiestas and festivals. With Almoradi hire a car make your trip a unique experience.